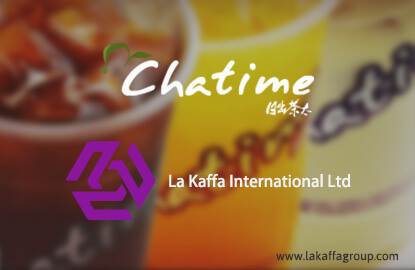 KUALA LUMPUR (Jan 6): Taiwan-based La Kaffa International Ltd, the franchisor of Chatime beverage outlets, will terminate its contract with its sole Malaysian franchisee due to disagreement on royalty and ingredient sources. La Kaffa chairman Henry Wang said the company would terminate its contract with Loob Holdings Sdn Bhd with immediate effect. Wang said La Kaffa would assume management of all Chatime stores in Malaysia. "Food and beverage products can easily be substituted. Businesses must continue to reinvent themselves by introducing new brands and products based on market demand to attract customers," he said at a press conference here today. La Kaffa executive vice president Teresa Wang said: "Due to disagreements with Loob Holdings, we have no choice but to make this painful decision." Chatime entered the Malaysian market in 2010. According to Chatime's website, the franchise was founded in 2005. Today, there are over 800 Chatime outlets across countries, including China, Australia and the U.S., the website indicated.